 Subject:	FWF Elegance update...Been a long time. Just wanted to let you know that Ellie (FWF Elegance) is still here and teaching a whole new group of kids the ropes of jumping and dressage. 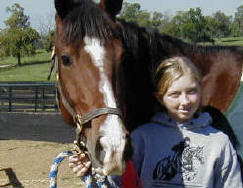 She is one of the most loved horses on our farm. I can't believe she's been here so long, wow time flies. 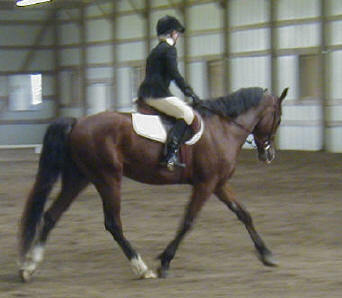 I have attached some pics of her at a show this year with one of our lesson students who won ribbons on her as usual! Hope you all had a great Christmas. My younger daughter, Carly, showed FWF Elegance for the very first time this past May in eventing since her older sister Anna is so busy at college. 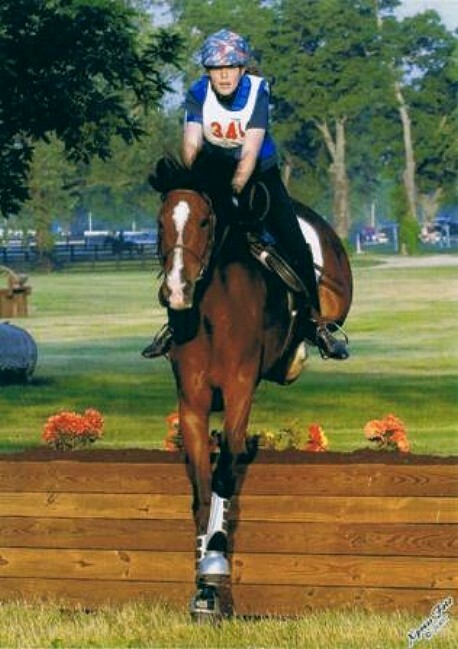 This is an awesome picture (attached) of the two at novice level cross country during the May Daze Horse Trials at the Kentucky Horse Park. Unfortunately a saddle problem arose later on in the cross country course that required Carly to dismount and fix her saddle and caused massive time penalty points, but the two went on and finished without any refusals on cross country and went double clear in stadium. This is one of my favorite pictures. 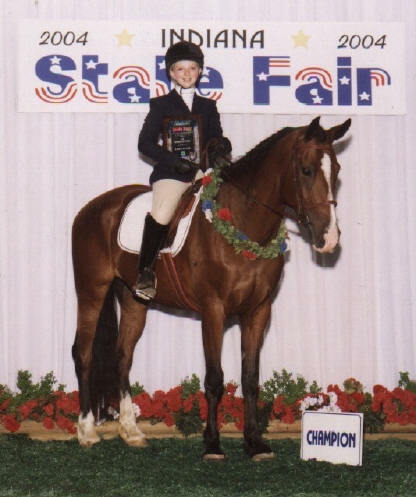 Fredericka, Here are some pictures of "Anna"
Anna's little sister Carly took her to a Hunter Jumper Show last Sunday (5/21/06) and they won every jumping class they entered in 2'6" and 3'. They are Division champions in both. I am sending that info. in for awards program. of shady trees, horses did not see it until they were right on it, through fence lines, it was the Beechgrove Hunt Club's course. They really make them earn it or they simply don't pass them and they have to come back and retest. I was so happy for them as Anna is a senior in High School and she has plans to go away to college next year. Anna and Ellie probably won't have too much time together after this year. Ellie will stay here and probably show during the summer. I always loved watching them show, I am already getting sad at the thought of Anna going away to college but you have to let them spread their wings and fly in their own direction. 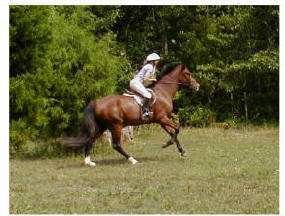 pinto filly I liked so much; We'll keep you posted on Ellie's progress. Talk about versatility!!!! 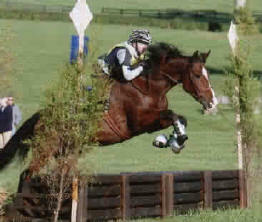 Hunter,Jumper, Eventing, Dressage including musical Freestyle!!!! Wow! "Fond memories" Looks like a picture postcard. 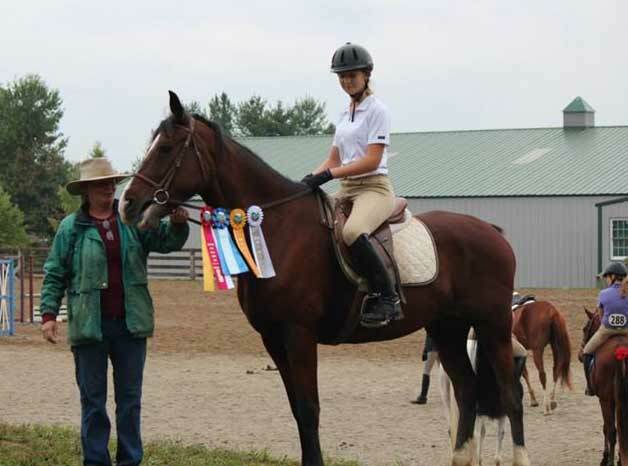 We are so pleased when we see these young riders doing so well with the horses they purchased from us, and then trained themselves! Speaks to the gentle willing nature of the horses we raise. 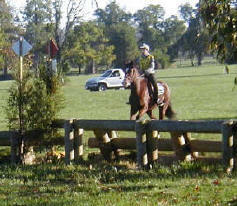 Fredericka, I have attached some pictures of Elegance out on cross country course with our 14 year old daughter. 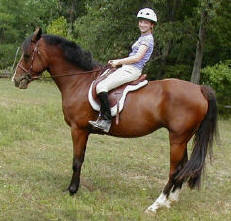 Her canter is a dream to ride. 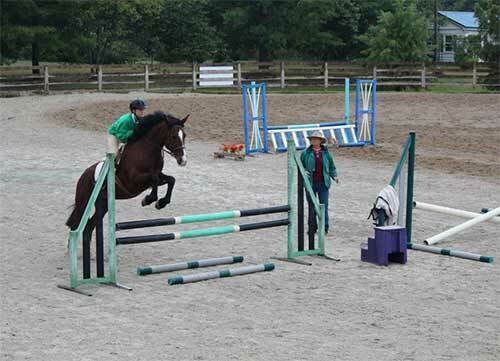 She is getting schooled lightly in jumping and doing very well. JUST LOOK AT THAT SMILE!!!! ANNA AND ELLIE DOING THEIR VICTORY LAP! 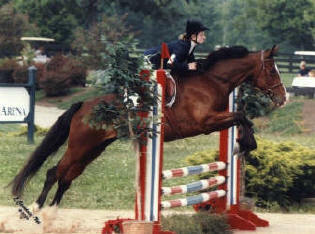 KENTUCKY HORSE PARK MAYFEST COMPETITION. 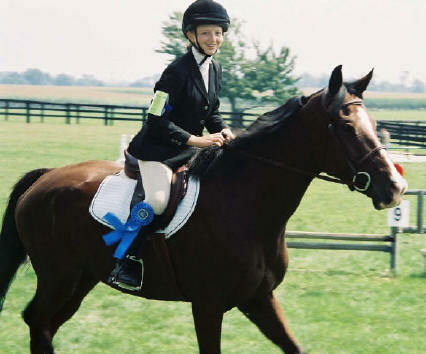 First Place August 9, 2004 Indiana State Fair!! We look forward to updating this page with lots more wins for Ellie and Anna!!!! !